The Consumer Financial Protection Bureau has released a “fact vs. fiction guide” about new mortgage rules set to take effect Jan. 10 “to help dispel some of the most common misconceptions about what this new rule actually means for consumers” – but some of the facts the agency cites seem to be at odds with the findings of earlier industry studies. The CFPB estimates that about 92% of mortgages in the current marketplace will meet the new “Qualified Mortgage” guidelines, which require mortgage originators to verify borrowers’ ability to repay. But an October study by risk management firm ComplianceEase calculated that one in five new mortgages wouldn’t meet the QM guidelines. In addition, more than half of those loans would have fees that exceed the CFPB’s 3% cap, and loans that exceeded the cap typically exceeded it by more than $1,500. The rest had APRs too high to meet the QM standard. “Based on current guidelines, these loans also will not be eligible for purchase, insurance or guarantee by government-sponsored enterprises (GSEs) or government agencies,” ComplianceEase said in a statement. But ComplianceEase warned that many lenders might try to avoid non-QM loans. 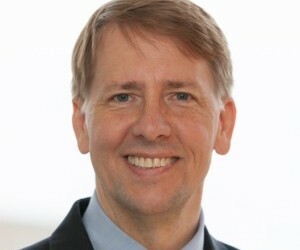 The CFPB also called QM’s 3% cap on points and fees “a reasonable limit that protects consumers and gives lenders the incentive to evaluate affordability over the life of the loan.” But the agency itself has previously admitted that the cap could stifle competition and hurt borrowers.